Summer of 1969. Tittenhurst Park, John Lennon's 15-acre estate in Ascot, a London suburb. 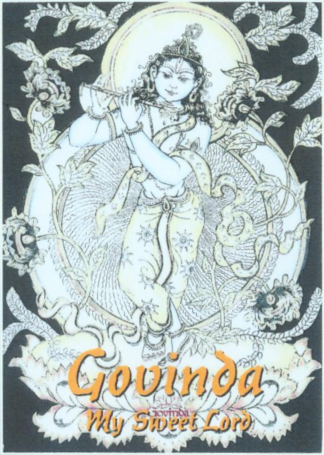 John had invited the ten to twelve devotees of Krishna, then living in London, to spend a few days at his country estate, and there they had decorated a small concert hall as a temple. Some weeks ago, the the Hare Krishna devotees had made a recording of the Hare Krishna mantra on Apple Records. On 8th September Srila Prabhupada should arrive now, and John offered to take him from Heathrow Airport to Tittenhurst with his Rolls Royce, where he would live with his followers. This now following conversation took place during Srila Prabhupada's staying there. People can be peaceful by knowing three things. If he perfectly understands only three things, then he'll become peaceful. What is that? Bhoktaram yajna-tapasam. All the sacrifices, austerities, penances, whatever people are undertaking for perfection, the enjoyer of such activities, Krsna says, "I am." "I am." Just like your activities. This is also a kind of austerities. Your artistic songs, they have become popular because you have undergone some austerities. You have come to the perfection. That requires penance and austerities. Or any scientific discovery, that requires austerities. So every nice thing presented in the world, that requires austerity. Very devout, painstaking. Then it becomes successful. That is called yajna. Tapasya. So Krsna says, "The result of the tapasya enjoyer, I am." He is claiming. "The result of your tapasya should come to Me." Then you'll be satisfied. People are claiming, "This is my England," and "This is my India," "This is my Germany," "This is my China." No. Everything belongs to God, Krsna. Sarva-loka. Not only on this planet. We have divided this planet in so many states. Actually this planet was not divided. From the history of Mahabharata we understand. This planet, there was only one king, one emperor, in India, Hastinapur. Even up to five thousand years ago, there was only one king, Maharaja Pariksit, one flag. And he came out for touring over his kingdom, and he found somebody near Sindh, a black man killing a cow. And he immediately arrested him: "Oh, in my kingdom you are killing cow?" So actually the whole planet was under one flag, one suzerainty. Gradually it has become small, small, small, small, small. Just like in our, very recently, twenty years ago, India became divided, Pakistan and Hindustan. Actually India was one, but we see now it is Pakistan. And some day another "stan" will be divided. So this is going on. So sarva-loka, in all planets, all the planets, actually that is God's place. Nobody's place. We come here empty-handed; we go empty-handed. How we can claim? Suppose you have given me this place to stay. I stay for one week, and if I claim, "Oh, this is my room," is that very nice thing? (laughs) There will be immediately some disagreement, trouble. But you have kindly spared this room. I am living here. I can comfortably live, enjoy. And when my necessity... When I go, there is no trouble. Similarly, we come here in the kingdom of God empty-handed; we go empty-handed. Why we trouble that "This is my property, this is my country, this is my world, this is my planet"? Why we claim like that? Is it not insanity? Wherefrom the claim comes? So Krsna says that sarva-loka-mahesvaram: "I am the Supreme Lord of every place." And suhrdam sarva-bhutanam [Bg. 5.29]. And He is the real friend of every living entity. Isvarah sarva-bhutanam hrd-dese 'rjuna tisthati [Bg. 18.61]. As a friend, He is sitting within your heart. He's so nice friend. In this material world we make friendship. It breaks. Or the friend lives somewhere, and I live somewhere. But He's so nice friend that He's living within, with me and within my heart. He is so nice friend. Sarva-bhutanam. He's not only selected friend. No. Even the most insignificant creature, he is living there. 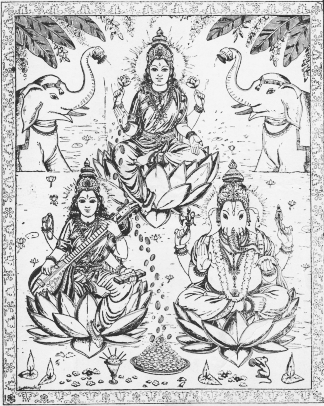 Paramatma. So if these three things are understood clearly, then he becomes peaceful. This is the peace formula. So everything is there in the Bhagavad-gita and Vedic literature. Simply one has to learn. Just like in arithmetic. There is all mathematical calculation, addition, subtraction, multiplication, division, this or that, fraction. One has to learn. So Bhagavad-gita is so nice book and it is accepted. Not that because we are preaching Krsna consciousness, we are advocating for Bhagavad... No. It is accepted by scholarly section, religious section, not only in India, but all over the world. Perhaps you know. In every country there are thousands of Bhagavad-gita translation, in every language, in English, in French, in German, all languages. And even Mohammedans... Of course, scholarly Mohammedans, they also read very nicely Bhagavad-gita. I know one Mohammedan professor in India. He was a great devotee of Lord Krsna. He did not disclose that he was a devotee, but he was observing Janmastami fasting day and he was writing one article on Krsna every Janmastami day. There are many. They read. And in our childhood... Not childhood, we were young man at that time. So one Englishman was a tenant in Calcutta, my friend's house. So he was vacating the house. We went to take possession of that house, and he had many books, and there was a book, Bhagavad-gita. So that, my friend, Mr. Mullick, he was a little astonished that "He is Englishman, he's Christian. How is that, he has got Bhagavad-gita?" So he was touching that book, and that gentleman thought that "He is my landlord. He may like that book." So he immediately said, "Oh, Mr. Mullick, I cannot present that book to you. This is my life and soul." He said like that. So Bhagavad-gita is accepted by scholarly section, by philosophers. So I think people should have one scripture, one God, one mantra, and one activity. One God, Krsna. One scripture, Bhagavad-gita. And one mantra, Hare Krsna. And one activity, to serve Krsna. That's all. There will be peace. There will be actually peace all over the world. So I request you to, at least to understand this philosophy to your best knowledge. And if you think that is nice, you take up. You are also willing to give something to the world. So you try this. You have read our books, this Bhagavad-gita As It Is? No. John Lennon: I've read bits of the Bhagavad-gita. I don't know which version it was. There's so many different translations. The, dhrtarastra uvaca. The father of Duryodhana is asking his secretary, Sanjaya. His secretary's name was Sanjaya. "Sanjaya, my boys..." Mamakah. Mamakah means "my sons," and pandava, "the sons of my younger brother." His younger brother's name was Pandu, and therefore his sons are known as Pandava. So mamaka, pandava. "My sons and my younger brother's sons, they assembled together for fighting." Yuyutsava. Yuyutsava means "with fighting spirit." And dharma-ksetre kuru-ksetre, on the place known as Kuruksetra, which is a place of pilgrimage, dharma-ksetra. Kim akurvata: "After assembling there, what did they do?" That was his question. Now, this Kuruksetra place is still existing in India. You have been in India? No. John Lennon: Have I been there? Srila Prabhupada: You have been there? John Lennon: Yes. Not to that place. Hrishikesh we went to. Srila Prabhupada: Oh, Hrishikesh. Hrishikesh is also one of the pilgrimage. And there is similarly Kuruksetra near Delhi. Still that place is there. And that is a place of pilgrimage from the Vedic times. In the Vedas also it is stated, kuru-ksetre dharmam yajayet. If you want to function in a religious ceremony, just go to Kuruksetra. So it is a place of pilgrimage. Now the name is there. The adjective dharma-ksetra, it is from Vedic age. Then the Pandavas and the Kauravas, they are historical persons. The history is there, Mahabharata. Then where is the question of interpreting Kuruksetra as "this body," and the Pandavas as "the senses"? Where do you get this opportunity to interpret? So these things are going on. But we object, "Why should you interpret in that way when the facts are there?" That means Bhagavad-gita is very popular book. One has got his own philosophy. He wants to prove it through Bhagavad-gita. This is going on. There are so many interpretations, 664. Everyone thinks that "I can interpret in my own way." Why? Why this should be? We say, "No. You cannot interpret." Then what is the authority of Bhagavad-gita? The author of Bhagavad-gita did not leave it for being interpreted by a third-class man. He is Krsna, the Supreme Lord. He said everything clearly. Why an ordinary man should interpret His word? That is our objection. Therefore we present Bhagavad-gita As It Is. The MacMillan Company wanted to shorten. (Chuckling) Because they are merchants. They wanted to minimize. Otherwise the book was very big. They wanted to make it only four hundred. Therefore half of the slokas was not nicely explained. But next time we are going to publish in large and revised edition of Bhagavad-gita As It Is. We must explain everything. So the Bhagavad-gita is very, very high-class philosophy and theology. Social, political, science—everything is there. It is very nice. And everything is clear. It is explained by Krsna. So this Krsna consciousness movement means to present Bhagavad-gita as it is. That's all. We have not manufactured anything. Srila Prabhupada: Be happy and make all others happy. That is Krsna consciousness. Sarve sukhino bhavantu. That is Vedic idea. Everyone be happy. That is the benediction. Sarve sukhino bhavantu. Caitanya Mahaprabhu says also the same thing, that let this Krsna consciousness movement be preached in every village, in every town of the world. People will be happy. That is His foretelling. So any missions, any high ideals, should be preached just to make everyone happy. Because in the material existence, there is no happiness. That is a fact. There cannot be any happiness. This place is not meant for happiness because in the Bhagavad-gita you'll find the Lord Himself says this is a place, duhkhalayam asasvatam [Bg. 8.15]. It is a place of miseries, this material world. And asasvatam, and temporary. Everything is temporary. Even if you accept, "All right. Whatever miserable is there, I'll accept this," that is also, has no value. Even if you accept, nature will not allow you to accept it and remain there. Asasvatam. You have to leave. So Krsna says, mam upetya kaunteya duhkhalayam asasvatam napnuvanti mahatmanah samsiddhim paramam gatah: [Bg. 8.15] "If somebody comes to Me, then he hasn't got to return back to this miserable condition of life which is not only miserable but temporary." So we should understand that. Nature is so cruel. In America, President Kennedy, he was thought to be the most fortunate man, happy man, young man, was elected President, nice wife, children, honor all over the world—(snaps finger)—within a second, finished. Temporary. Now what is his condition? Where he is? If life is eternal, if living entity is eternal, where he has gone? What he is doing? Is he happy or he is distressed? Or he's born in America or China? Nobody can say. But it is a fact that as living entity, he's eternal, he's existing. That is the beginning of Bhagavad-gita philosophy. Na hanyate hanyamane sarire [Bg. 2.20]. After destruction of this body the living entity is not destroyed. He is there. That we can understand. Just like in your childhood, you had a small body. That body is no more, but you are existing. So it is natural, when this body will not exist, I will exist in another body. It is not very difficult to understand. So this theory that body is eternal..., soul is eternal and body is temporary, that's a fact. Therefore this life, this present life, is meant for manufacturing the next body. That is Vedic knowledge. We are creating... Just like a boy. He is studying very nicely. So he's creating next body, a very educated young body. By education he can get nice job, nice place, nice position. So he's creating his next body. (chuckling) Mad-yajino: "Those who are in Krsna consciousness, they'll come to Me." And what is the benefit of going to Krsna? He says, mam upetya: "If anyone comes to Me," mam upetya kaunteya duhkhalayam asasvatam [Bg. 8.15], "he does not come back again to this miserable condition." And asasvatam, temporary. Why? 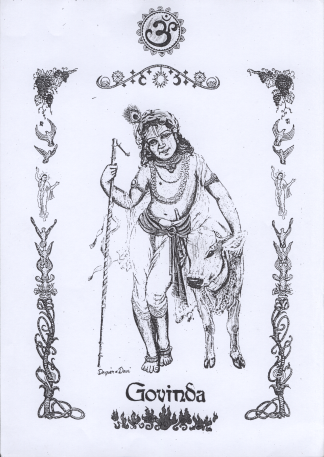 Samsiddhim paramam gatah. Oh, he has attained the highest perfection, to go back to Krsna, mad-yajino 'pi mam, "one who comes to Me." So this is the greatest benediction to the human society, to train them to go back to Krsna and dance there with Krsna in rasa-lila. You have seen Krsna's rasa-lila dancing? You have not seen? Gurudasa: Rasa-lila dancing with the gopis. That's the..., with Radha. Dancing with Radha. Pictures like that. Srila Prabhupada: So we can go there. Join with Krsna and dance happily without any botheration. Srila Prabhupada: (laughs) We can have so many connection with Krsna, as friend, as servant, as parents, as lover, whatever you like. Ye yatha mam prapadyante tams tathaiva bhajamy aham [Bg. 4.11]. You cultivate that consciousness, how you like Krsna. He is prepared to accept you in that capacity. And that makes a solution of all problems. Here nothing is permanent, nothing is blissful, and nothing is full of knowledge. Here... This year we held examination on bhakti-sastri, and here is the answer of a girl, Himavati. She has written very nice. I have read it. So we are training these boys and girls to Krsna consciousness according to the Krsna science. Anyone can take advantage of it. It is a very nice thing. So you also try to understand, and if it is nice, you take it up. You are after something very nice. Is my proposal unreasonable? (chuckles) You are all intelligent boys. Try to understand it. Srila Prabhupada: And you have got a very good talent, music. Na vidya sangita uttamam. The Vedic mantras were all through music. Sama Veda. Sama Veda is full of music. Samagah. Samagah means the followers of Sama Veda. Gayanti. They are always in music. Through musical vibration they are approaching the Supreme. Samagah. Gayanti. Gayanti means singing. So Vedic mantras are sung. This whole Bhagavad-gita, Srimad-Bhagavatam, can be sung very nicely. And it is Vedic mantra, chanting. Simply by hearing the vibration, people will be benefited. Even they do not understand. You have got that, this mantra you chant? You just play it. [break] Huh? Simply by transcendental vibration of sound, everything can be achieved. (long pause) What kind of philosophy you are following? May I ask? Yoko Ono: We don't follow anything. We are just living. George Harrison: We've done meditation. Or I do my meditation. I have a mantra meditation. Srila Prabhupada: This is also mantra. John Lennon: It's not the song, though. George Harrison: No, no. It's chanting. Srila Prabhupada: His mantra is not public. George Harrison: Not out loud. No. Srila Prabhupada: There is a version by Ramanujacarya. 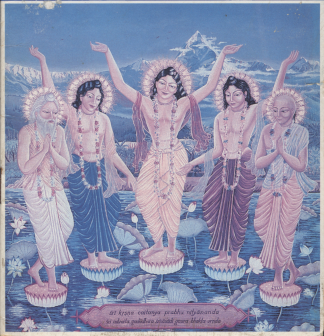 Ramanujacarya, he was a great acarya of this Vaisnava sampradaya. His spiritual master gave him mantra: "My dear boy, you chant this mantra silently. Nobody can hear. It is very..." So then he asked, "What is the effect of this mantra?" He said, "By chanting this mantra, by meditation, you'll get liberation." So he immediately went out and in a public, big meeting he said that "You chant this mantra. You'll be all liberated." (laughter) So he came back to his spiritual master, and his spiritual master was very angry that "I told you that you should chant silently." He said, "Yes, I have committed offense. So whatever punishment you like, you can give me. But because you told me that this mantra will liberate, I have given it publicly. Let everyone hear and be liberated. Let me go to hell. I don't mind. I have disobeyed your order. Let me go to hell. I am prepared. But by this chanting mantra, if anyone is liberated, let it be publicly distributed." His spiritual master embraced him: "You are greater than me." You see? So if a mantra has so power, why it should be secret? It should be distributed. People are suffering. So Caitanya Mahaprabhu said, "Chant this Hare Krsna mantra. Anyone who will hear... Even the birds and beasts will hear and they will be liberated." That's all. Yoko Ono: If Hare Krsna is such a strong, powerful mantra, is there any reason to chant anything else? For instance, you talked about songs and many different mantras. Is there any point in chanting other songs or mantra? Srila Prabhupada: No, no. These mantras are also... But Hare Krsna mantra is specially recommended for this age. And the Vedic mantras, they are also chanted, I told you, with musical, tampura, and they sit down and chant. Narada Muni, he's chanting always. So chanting through musical instruments, mantras, it is not new introduction. It is from time immemorial. And Hare Krsna mantra, especially in this age, that is recommended in many Vedic literature, Brahmanda Purana, Kali-santarana Upanisad, Agni Purana, like that. And apart from the statement in the Vedic literature, Lord Caitanya Himself, He preached this mantra. Hare Krsna Hare Krsna Krsna Krsna... And people, public, followed Him. Yes. [break] So anything... Just like a scientist. When he discovers something, it becomes a public property. People may take advantage of it. Similarly, if mantra has got potency, all people should take advantage of it. Why it should be secret? George Harrison: All people can get the mantras that we have, but it's just they must get it from somebody else. We can't give it to them, but it is available for everybody. Srila Prabhupada: Yes. Mantra, if it is valuable, it is valuable for everybody. Why it should be for a particular person? Srila Prabhupada: No. Just like in drug shop they sell all medicine for disease, curing disease. But still, you have to take doctor's prescription to take a particular type of medicine. They will not supply you. If you go to a drug shop and you say, "I am diseased. You give me any medicine," that is not... He'll ask you, "Where is your prescription?" So similarly, in this age, in Kali-yuga age, this mantra, Hare Krsna mantra, is recommended in the sastras, and great stalwart—we consider Him the incarnation of Krsna-Caitanya Mahaprabhu, He preached this. Therefore our principle is everyone should follow. Mahajano yena gatah sa panthah [Cc. Madhya 17.186]. We should follow the footprints of great authorities. That is our business. The Vedic mantra says, tarko 'pratisthah. If you simply try to argue and try to approach the Absolute, it is very difficult, simply by argument and reasoning, because our arguments and reason are limited because our senses are imperfect. [break] So tarko 'pratisthah srutayo vibhinnah. And scriptures, there are different kinds of scriptures. Nasau munir yasya matam na bhinnam. Philosophers, every philosopher has got a different opinion, and unless a philosopher defeats other philosopher, he cannot become a big philosopher. So therefore philosophical speculation also will not make a solution. 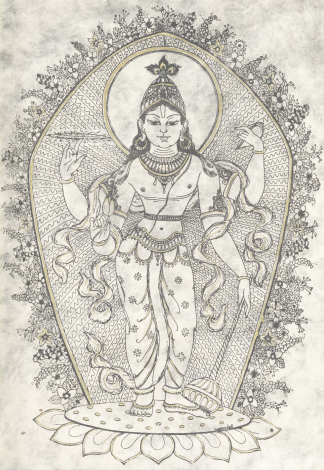 Dharmasya tattvam nihitam guhayam. So it is very secret. Then how to get that secret thing? Mahajano yena gatah sa panthah [Cc. Madhya 17.186]. You simply follow great personalities, how they have achieved success. So our, this Vaisnava philosophy is to follow the great personality, just like Krsna or Caitanya Mahaprabhu or acaryas of His succession, to take shelter of authority and follow. That is recommended in Vedas, that you follow great authorities. That will take you to the ultimate goal. Mahajano yena gatah sa panthah. So... Krsna also recommends in the Bhagavad-gita, Fourth Chapter, evam parampara-praptam imam rajarsayo viduh [Bg. 4.2]. This science of Krsna consciousness was understood by disciplic succession. 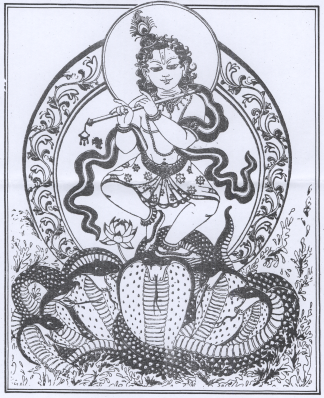 Parampara-praptam. Imam vivasvavate yogam proktavan aham avyayam: "My dear Arjuna, don't think that this Krsna consciousness science I am speaking to you is something new. No." Imam vivasvate yogam proktavan aham avyayam: [Bg. 4.1] "It is eternal, and first I spoke to sun-god." Vivasvate. Vivasvan manave prahuh: "And Vivasvan said to his son, Manu." Manur iksvakave 'bravit: "And Manu also transferred this knowledge to his son, Iksvaku." Evam parampara-praptam: [Bg. 4.2] "In this way, by disciplic succession, it is coming on." Sa kaleneha yogo nastah parantapa: "But in due course of time it is now broken. Therefore I am speaking to you again." So a mantra should be captured from the disciplic succession. According to Vedic injunction, sampradaya-vihina ye mantras te nisphala matah: "If the mantra does not come through disciplic succession, then it will not be active." Viphala. Mantras te viphalah. Viphala means "will not produce result." Mantras te viphalah matah. So mantra has to be received through the channel; then it will act. Mantra cannot be manufactured. Mantra must be from the original Supreme Absolute, coming down through disciplic succession, channel. It has to be captured in that way, and then it will act. Sampradaya-vihina ye mantras te nisphala matah. So according to our Vaisnava sampradaya, the mantra is coming down through four channels. One is coming through Lord Siva, one is coming through goddess Laksmi. Not one, different. One thing is coming in different channel. 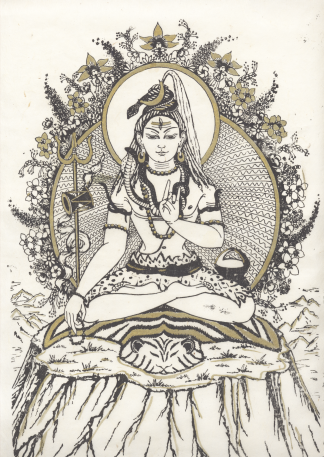 One through the channel of Brahma, one through the channel of Lord Siva, one through the channel of Laksmi, and one through the channel of Kumaras. So they are called four sampradayas. So one has to take mantra, either of these four sampradayas. Then that mantra is active, and if we perform that mantra in that way, it will act. Sampradaya-vihina ye. And if one does not receive this mantra in either of these sampradaya, channels, then viphala, it will not act. It will not give fruit. Srila Prabhupada: Yes. Yes. That is a fact. The example is given just like milk. Milk is nutritious. That's a fact. Everyone knows. But if the milk is touched through the tongue of a serpent, it is no more nutritious. It is poison. Yoko Ono: Well, no. I don't have, you don't have to tell me material senses. I mean mantra is not material. It should be something spiritual, and therefore nobody can spoil it, I don't think. I mean, I wonder if anybody can spoil something that is not material. Srila Prabhupada: But the thing is that if you don't receive the mantra through the proper channel, it may not be mantra. Srila Prabhupada: Not any spiritual master. John Lennon: True master. How are we to tell one from the other? Srila Prabhupada: It is not that any spiritual master. Sampradaya. Sampradaya means a particular line of disciplic succession. John Lennon: But, you see, Maharishi said exactly the same thing about his mantra's coming from the Vedic, with seemingly as much authority as you, and he was probably right. So how... It's like having too many fruits on a plate, and you can't only eat two of them. Srila Prabhupada: No. If mantra is coming down in that way, then it is potency; the potency is there. John Lennon: But Hare Krsna is the best one. Yoko Ono: Well, if Hare Krsna is the best one, what is the reason why we have to bother to even say anything else other than this one? Srila Prabhupada: You don't require to bother to say anything else. We say that Hare Krsna mantra is sufficient for one's perfection. George Harrison: Surely isn't it like flowers? If somebody may prefer roses and somebody may like carnations better... Isn't it really a matter for the devotee, that one person may find Hare Krsna is more beneficial to his spiritual progress, and yet somebody else, some other mantra may be more beneficial? Isn't it like just a matter of taste? Like judging a flower. They're all flowers, but some people may like one better than the other. Srila Prabhupada: But still, there is distinction. The rose flower is considered better than simply a flower without any flavor. Srila Prabhupada: Just try to understand this flower example. Yoko Ono: Yes. Srila Prabhupada: It is all right. You are attracted by some flower, I am attracted by some flower, but amongst the flowers there are distinctions. There are many flowers which has no flavor and many flower has flavor. So ye yatha mam prapadyante. That means the Absolute is realized... Of course, varieties there are, but the original division of the Absolute is three: Brahman, Paramatma, and Bhagavan. Now, Brahman, Paramatma, and Bhagavan is the same Absolute. Different names. The jnanis, or the empiric philosophers, they reach or they aim at Brahman, impersonal Brahman. The yogis, they, I mean to say, focus on the Supersoul, Paramatma. And the devotees, they aim at Krsna, the Supreme Personality of Godhead. Now, this Krsna and the Supersoul and the impersonal Brahman, they are not different. They are light. They are not darkness. But in the light also, there is difference The example is given: just like sunlight, sun globe and the sun-god. Everywhere you find light. In the sunshine there is light. In sun globe there is light. And what to speak of the predominating deity in the sun-globe? He also must be light; otherwise wherefrom this light comes? So so far light is concerned, everywhere there. But you cannot say because sunshine has come through your window in your room, you cannot say the sun has come. That will be mistake. Sun is many, many miles away. But so far light is concerned, now there is question of degrees of light, intensity of light. So the degrees of spiritual realization in Brahman, degrees of spiritual realization in Paramatma, and degrees of spiritual realization in the Supreme Personality of Godhead, they are different. Yoko Ono: But you said about if the milk goes through a serpent's mouth it will produce poison, and, for instance, George just told us about a week ago a very interesting story about a man who had a face of Christ, and in twenty years' time he had a face of Judah. And the Catholic Church and all those churches first probably had good words, and now it's deteriorating. Now, how would you decide, really, that brahmanas are always in a pure state that you speak of, that they would never turn into serpents? Srila Prabhupada: That you have to become a serious student. Yoko Ono: Well, I mean, what do you mean by serious student? Maybe everybody, all of us are serious anyway. I mean, we're born serious or born, you know, unserious. Srila Prabhupada: Then you must know what is distinction between Brahman, Paramatma, and Bhagavan, if you are serious student. Yoko Ono: But does it depend on knowledge? I mean, the final judgement that you make? Srila Prabhupada: Everything depends on knowledge. Without knowledge how can we make progress? Student means to acquire knowledge. Serious student means to acquire knowledge. Srila Prabhupada: Yes. You cannot know completely. That is because our knowledge is very imperfect. But still, so far our knowledge is concerned, as far as possible, we should try to understand. Ava? manasa gocarah. This Absolute is so great and unlimited that it is not possible for us to know Him completely. That is not possible. Our senses does not allow. But as far as it is possible, because, after all, we are part and parcel of the Absolute, so all the qualities of the Absolute are there in us, but it is in minute quantity. So that minute quantity is also very great in comparison to material knowledge. Material knowledge is practically no knowledge. It is covered. But when one is liberated, liberated knowledge is certainly very, very great than material knowledge. So Brahman, Paramatma, and Bhagavan. These are the statements of Bhagavata. Brahmeti paramatmeti bhagavan iti sabdyate [SB 1.2.11]. It is... Sabdyate means sounded as Bhagavan, Paramatma, and Brahman. Now, what are the difference or degrees of knowledge? Brahman knowledge, Paramatma knowledge, and Bhagavan knowledge. The same thing. The knowledge of sunshine, the knowledge of sun globe, and the knowledge of this predominating deity in the sun globe. So knowledge of sunshine is not knowledge of the predominating deity of the sun globe. There is another example in this connection. Just like if you see one hill from a long-distant place, first of all you see just like it is a cloud. Then, if you proceed further, you'll see something green. And if you enter into that hill you'll see, oh, there are so many varieties. There are animals, there are men, there are trees. But from the distant, you'll see just like a cloud. "I am the source of everything." This sarvam means Paramatma, Brahman, everything. These are clearly stated. Brahmano 'ham pratistha. So Brahman knowledge or Paramatma knowledge is within Krsna knowledge. If one has got Krsna knowledge he has got Paramatma knowledge, Brahman knowledge. He has got the effect of yogic principle, meditation, he has got the effect of empiric philosophical speculation, and he is situated personally in the service of the Lord. So if you make comparative study, then this Krsna knowledge includes all knowledge. The Vedas also confirm it, yasmin sarvam evam vijnatam bhavati. If you understand the Supreme, then all knowledge becomes automatically revealed. Yasmin vijnate sarvam evam vijnatam bhavanti. And in the Bhagavad-gita also it is stated, "Knowing this, you'll have nothing to know anymore." In the ninth chapter there is. So first of all we have to seriously study. 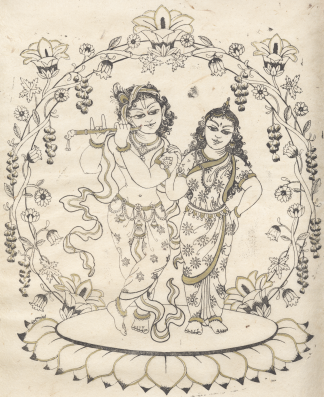 In loving memory of Darpana dasi, who we owe these wonderful paintings.